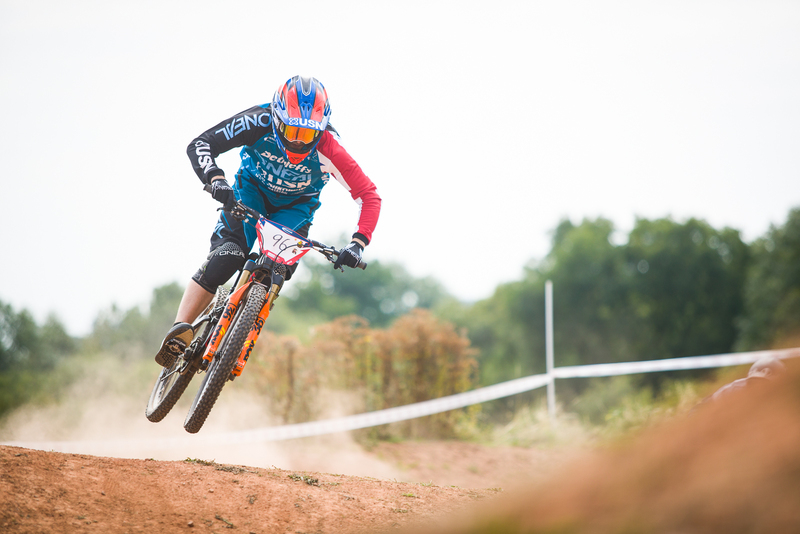 Last weekend USN Racing team has its final race of the domestic season in Huncote, Leicestershire. 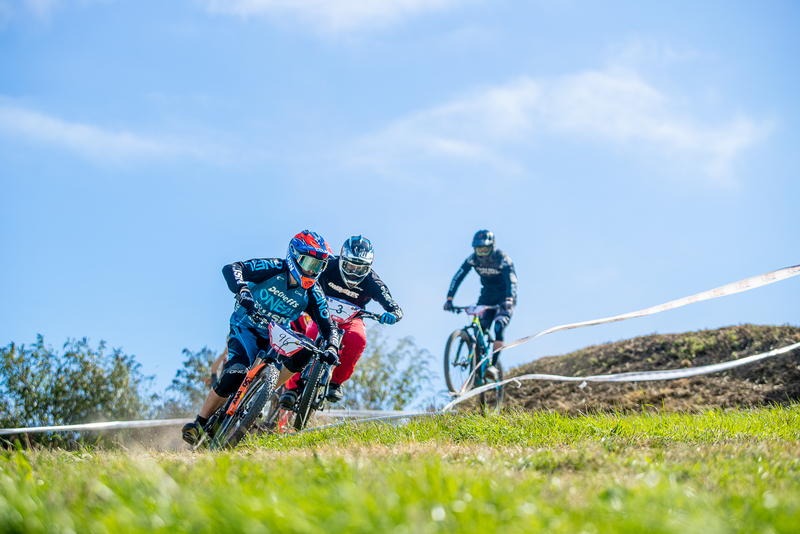 It was the final rounds of the 2018 HSBC British Cycling BMX National Series. 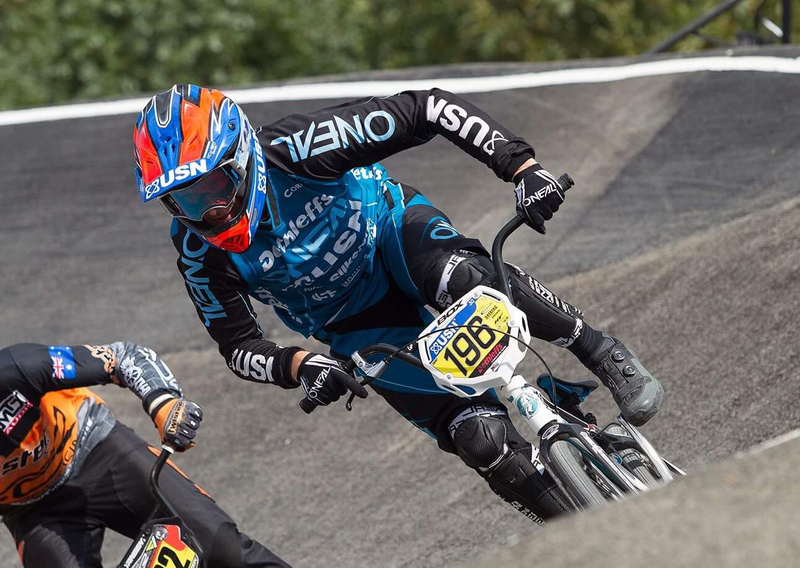 This was the final two rounds of the twelve round series and vital for Scott to qualify for the 2019 UCI BMX World Championships in Belgium. 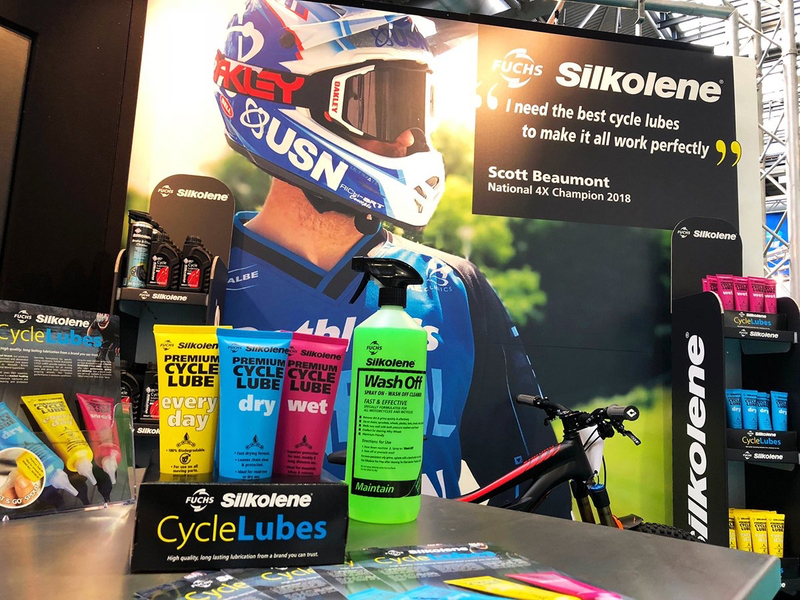 The weekend started with two days at the Cycle Show in Birmingham where Scott has a race bike and two helmets on display on the Silkolene, Bell and USE stands. From there it was straight to Leicester for practice on Friday evening. 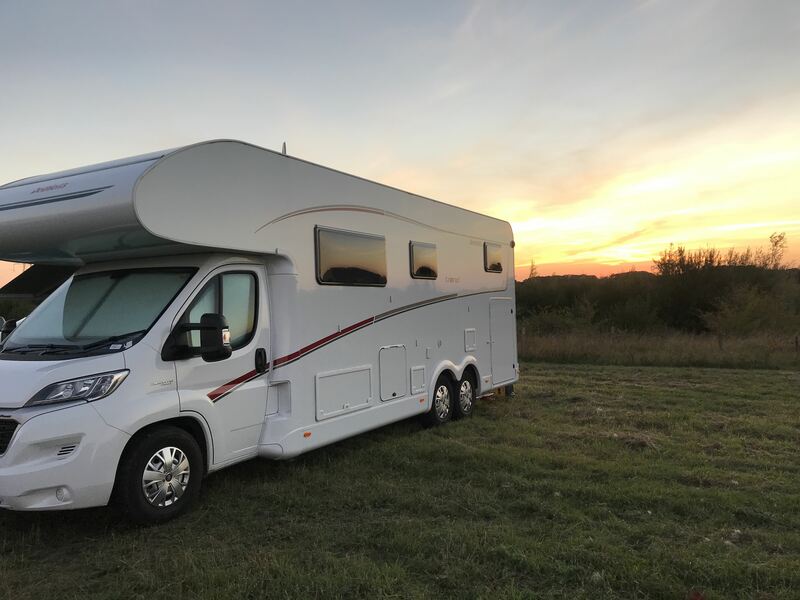 Scott rode a few laps just to get the cycle show out of his legs, then it was back to the Dethleffs motorhome for dinner and an early night. Saturday morning and Scott had three laps of practice to get dialled. Into the qualifying motos and they were action packed from lap one. Leading from the start scott entered the final turn with a small lead but got a bump mid turn and slipped back to third. In the second Moto he got a bump in turn One and finished second and in the final Moto he ran a clean lap to take the win! So onto the final. With all the bumping and banging, Scott decided to take an outside gate in the final so he could get a clean run on the start straight and carry good speed into turn one. The gate dropped and Scott made his best start of the day. There was a huge drag race to turn one and Scott almost got there but entered the turn level for the lead and got pushed wide. On the second straight Scott was in third but then made a clean move into second. From here he reeled in the gap but at the finish he couldn’t quite make it having to settle for second. Onto Sunday and Scott was ready to end the season on a high. Dominating his motos Scott won all three races to give him the vital gate choice for the final. Going straight for gate one Scott wanted the holeshot. The gate dropped and Scott’s gate wasn’t perfect dropping down the start in fourth. With a powerful first straight though Scott fought into the lead in turn one. From there he rode a solid lap until the final straight. Still in the lead but it was tight. The last straight has 10 single jumps on it. Scotts line all day was to double manual the first eight then jump the last two. On his final manual he bumped the landing, lost a little speed then had to jump a little higher on the final jump. It was all it took as Scott crossed the line it was a photo finish. By just a couple of thousandths of a second Scott was just beaten at the finish and ended up second. “It’s been a tough weekend with a lot of hard fought laps out there. But that’s the reason we are here racing – to improve my 4X speed and skills into 2019. The final today was my best lap of the weekend and although I lost the race on a photo finish I am stoked to end the year with a solid lap like that. Roll on 2019”. It was an incredible year for Scott on his BMX. Competing in just six of the twelve round series series, Scott was able to finish up the year in fourth position overall in the National Series. 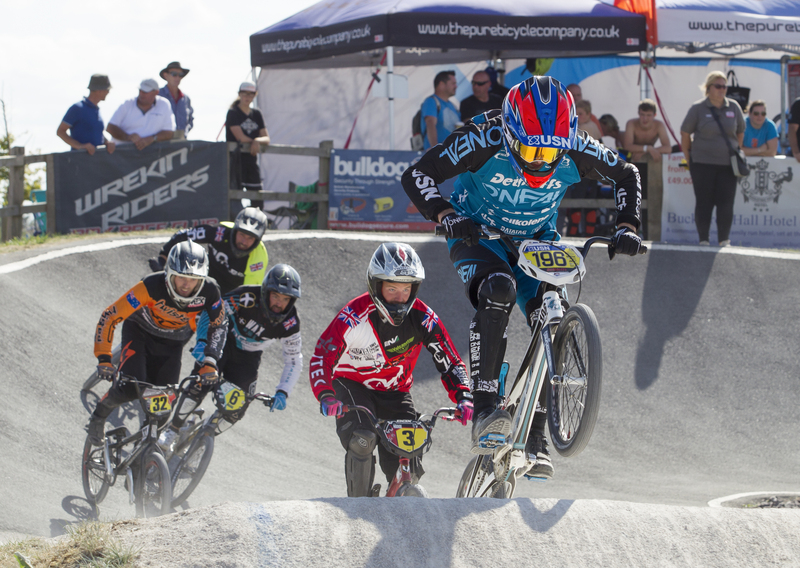 This has qualified Scott directly to the UCI BMX World Championships in 2019. Scott is daring to dream big about his chances on both 4X and BMX in 2019. We want to thank all our team Partners and sponsors for their incredible help and support with the best parts and products throughout the 2018 season. We simply could not do this without you and Scott could not maintain the continuous results at the sharp end of all his races. Thank you. 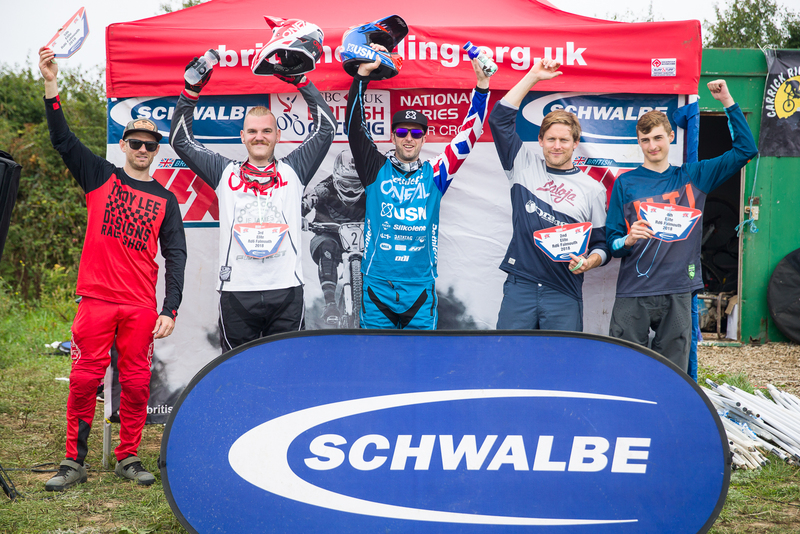 USN Racing team rider entered the 2018 Schwalbe British 4X Series finals with a mathematical chance of winning the overall title. His job was simple. Win every race and look for his rivals to drop points through the day. Here is the edit from Redhill. 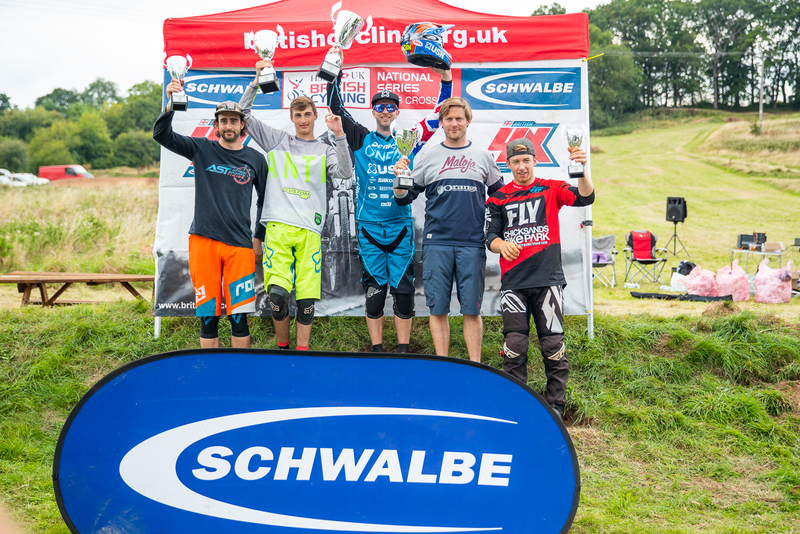 On Sunday 2nd September, round 6 of the 2018 Schwalbe British 4X Series took place at Redhill in Gloucestershire. 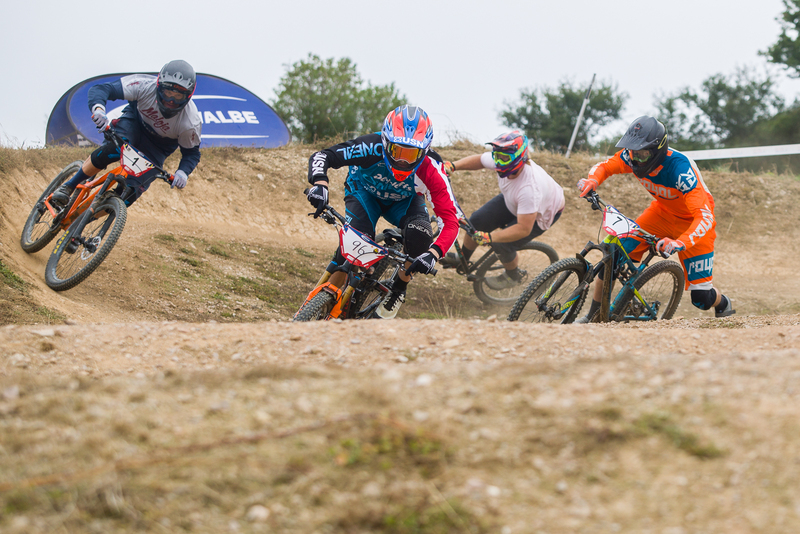 The season finals were held on this iconic track and with the Overall Elite Men’s title still wide open, team rider Scott Beaumont had a mathematical chance of winning the title. Scott’s job was simple. He had to win every single race in the day and rely on others finishing in certain positions. Scott had continued his training on from the National Championships two weeks ago so he was firing on all cylinders and ready to battle for the title. 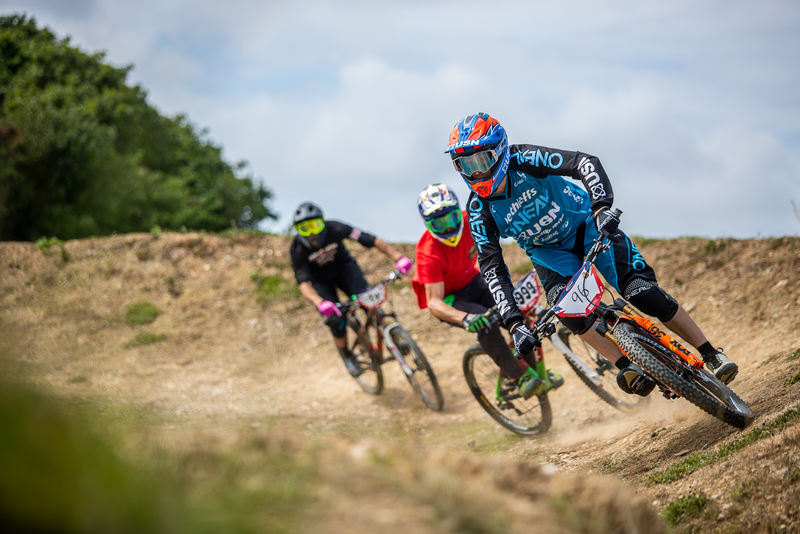 A cornerstone of the British 4X Series for many years, Redhill is fast, flowing and always a favourite for riders and spectators. 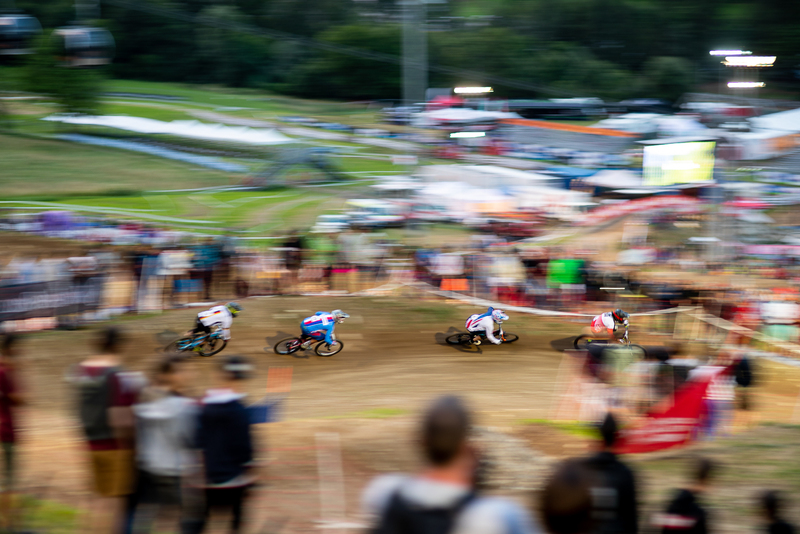 With fun jumps, high berms and split lines on the track, racing is always amazing and on Sunday it was no different. Scott just did a small amount of practice on Sunday morning just to get ready for racing but also save a little energy for the big day ahead. 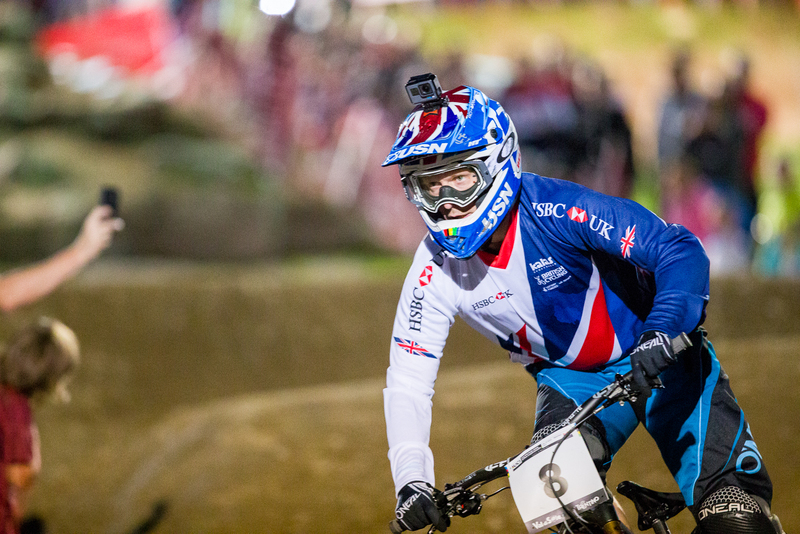 The British 4X Series uses the moto system for qualification which means Scott would race 3 qualifying races against different riders to qualify through to the knockout rounds. The hope was he would race against his fellow title contenders, so he could hopefully take points from them and help his quest for the title. Racing got underway at 12.30. Scott rode flawless and took 3 convincing wins in his motos – in the process beating all his title contenders. By the time the semi-finals rolled around, Scott was feeling confident. His track speed was very good, and gates were perfect. In his semi-final he made a great gate and he stamped his authority on the race and took the win to book his place in the final. In his semi-final he managed to beat two of the title contenders and they both bowed out. That meant that Scott was now guaranteed either first or second in the overall title chase. In the second semi-final the team could not believe their eyes. The other title contender crossed the line in third and did not qualify to the final. This meant that whatever happened Scott had done enough to win the Championship! Scott being Scott, he wanted to go out with a win and seal the title in the right way. Choosing gate one Scott was all set for the last national of the year. Saving his best till last, Scott made a perfect start and checked out. Laying down a perfect lap and pulling a big lead, Scott raced past the team pit area nodding and already celebrating before the finish line. 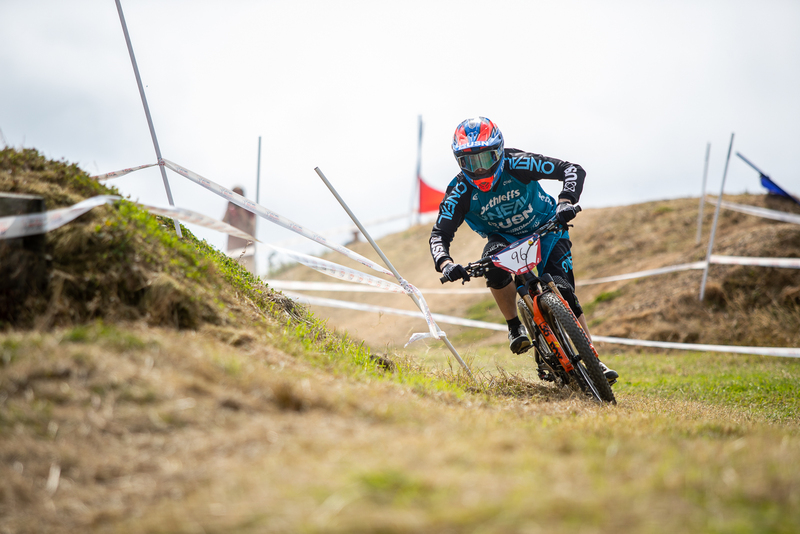 Across the line he punched the air with delight as he had managed to do the unthinkable and seal up the 4X National Series Title. It has been an incredible two weeks with Scott also becoming 4X National Champion, he now holds both domestic titles as well as topping the British Cycling National Rankings for 2018. It has been a perfect domestic year and we can’t thank our team partners enough for their support. 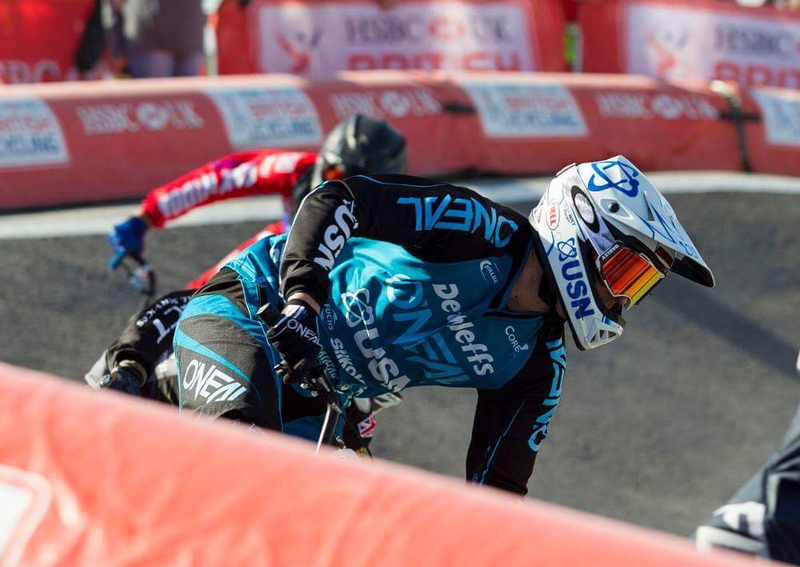 A week after defending his 4X National Championship in Falmouth, Cornwall, it was back in the Dethleffs team truck and a drive down to Gosport on the South coast for rounds 9 and 10 of the 2018 British BMX Series. 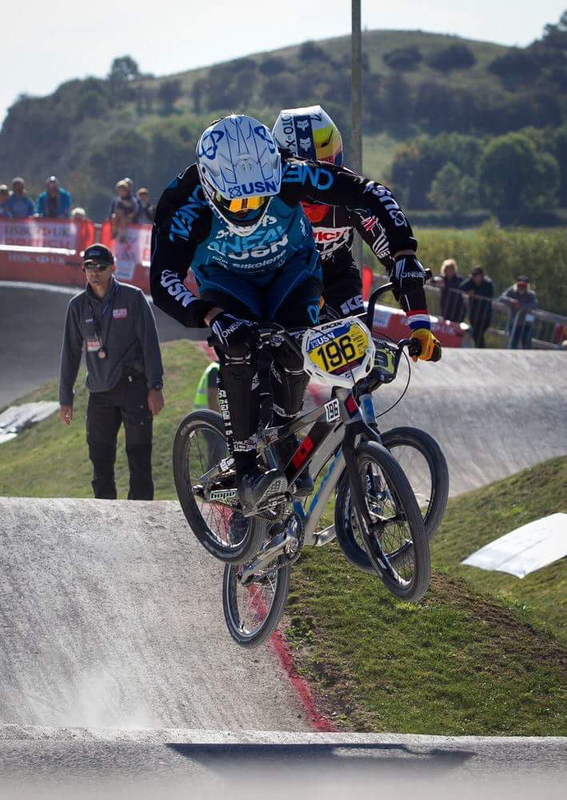 It was back on the BMX bike as Scott attempts to qualify for the 2019 BMX World Championships in Zolder, Belgium next summer. After a strong 2 nationals at round 7 and 8 Scott was feeling confident. Arriving on Friday the track looked fantastic. Big, technical straights with huge corners. Having never been to this track before Scott was excited to get out and have a play. On Friday evening there was an hour session that Scott made full use of getting the track dialled. Saturday morning and it was blue skies. In his motos he took the win in his first race, third in his second race and second in his third race which would qualify him through as the second ranked rider. In the final, with second gate choice Scott decided to move outside a little due to being rusty on the BMX again! He chose gate 4. The gate dropped and Scott was level into turn one but got a bump in there. Slipping back to sixth, Scott set off after the leaders. Railing turn two he closed the gap and moved into fourth. On the last straight he made more ground up but just missed out on third, finishing in fourth. Still some great points on the board towards World’s qualification. Sunday morning and all the weather forecasts were correct. Torrential rain and strong winds. It really was horrible out there. In his first moto Scott made an uncharacteristic mistake sliding in the first turn and nearly crashing. Understandable with how wet the track was. He re grouped quickly and set off from the back. By the finish line he was able to salvage fifth position which was a great result considering the mess he was in through turn one. Due to the deteriorating conditions, a decision was made to cut the normal three moto format down to just two motos. So it was all to play for and Scott now needed at least a third to qualify. With a strong start and first straight Scott entered turn one in second. He played a smart race on the slippery track and settled into a strong second place for the lap. This qualified him comfortably through to the final. 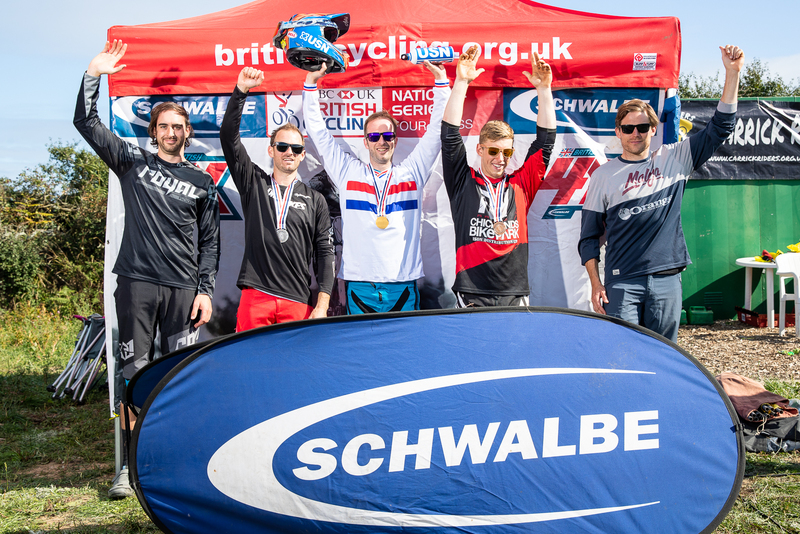 The team now returns back to 4X duties with the final round of the 2018 Schwalbe British 4X Series taking place next Sunday – 2nd September. Scott has a mathematical chance of winning the overall title. Due to having to miss two previous rounds of the series due to other race commitments, it is amazing that he is in contention. It is a very slim chance and will rely on other results going his way too, but whilst there is a chance we will be fighting. 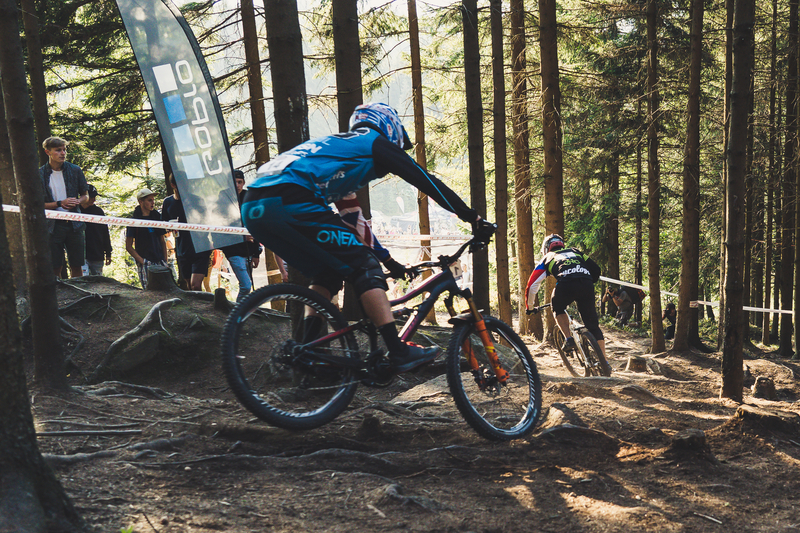 A small delay on this one but here is our team edit from Round 4 of the 2018 4X ProTour which took place in Jablonec in Czech Republic. 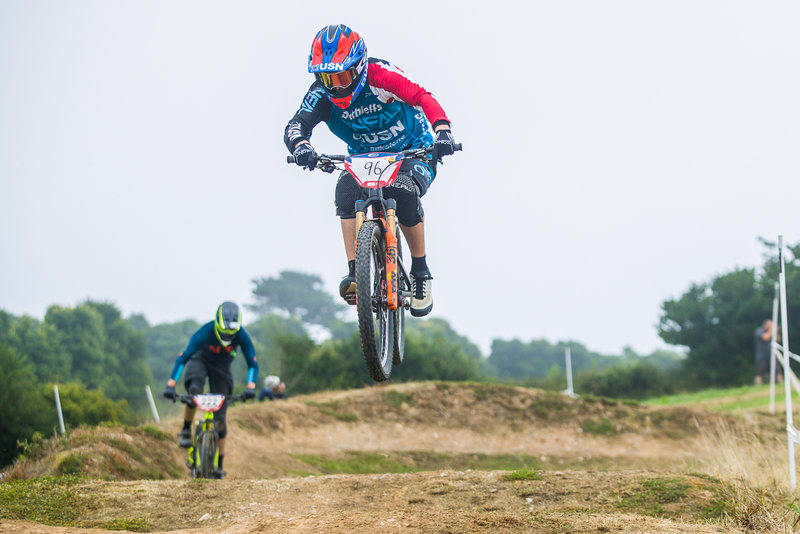 On Sunday 19th August, round 5 of the 2018 Schwalbe British 4X Series took place at Falmouth in Cornwall. Just a day after the National Championships, riders were well up to speed and this race looked like being a very tough day for all the elite riders with any one of them being capable of winning. Scott just did a small amount of practice just to get ready for racing but also save a little energy for the big day ahead. 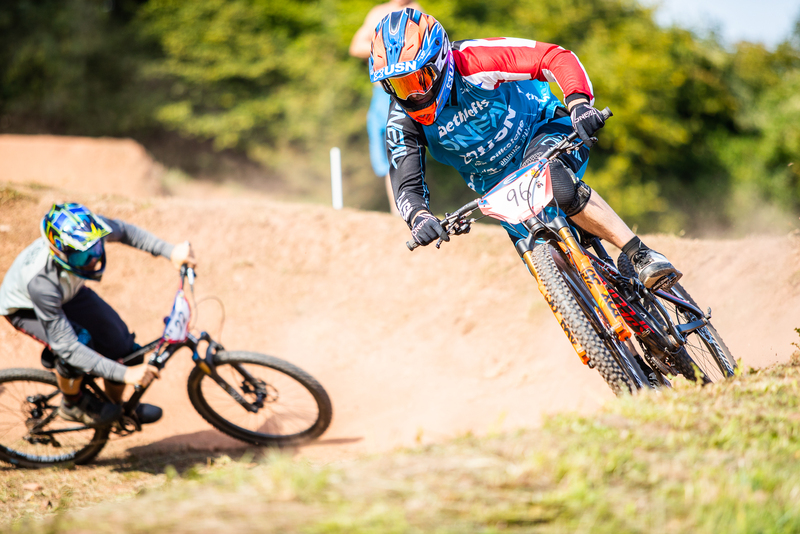 The British 4X Series uses the moto system for qualification which means Scott would race 3 qualifying races against different riders to qualify through to the knockout rounds. A slightly earlier start saw riders lining up at 11.00 to get the racing underway. Scott rode flawless and took 3 convincing wins in his motos. By the time the semi finals rolled around, again, like the previous day any of the remaining 8 riders had a chance of winning. Scott took the inside position again. With another perfect start he stamped his authority on the race and took the win to book his place in the final. So, it was final time. Scott again took gate 1. Without doubt, saving his best until last, Scott rocketed out of the start and completely checked out. It was a flawless ride and Scott took the win leading from start to finish. 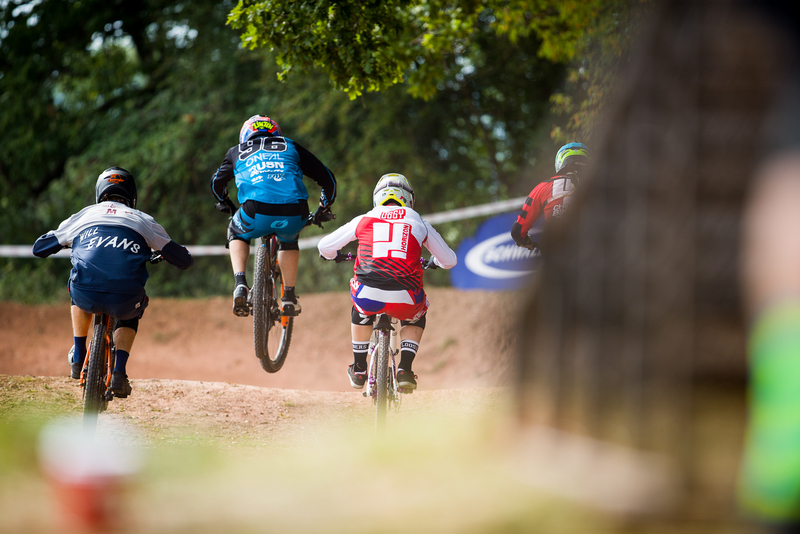 The Schwalbe British 4X Series finals will be taking place at Redhill in Gloucestershire on Sunday 2nd September. 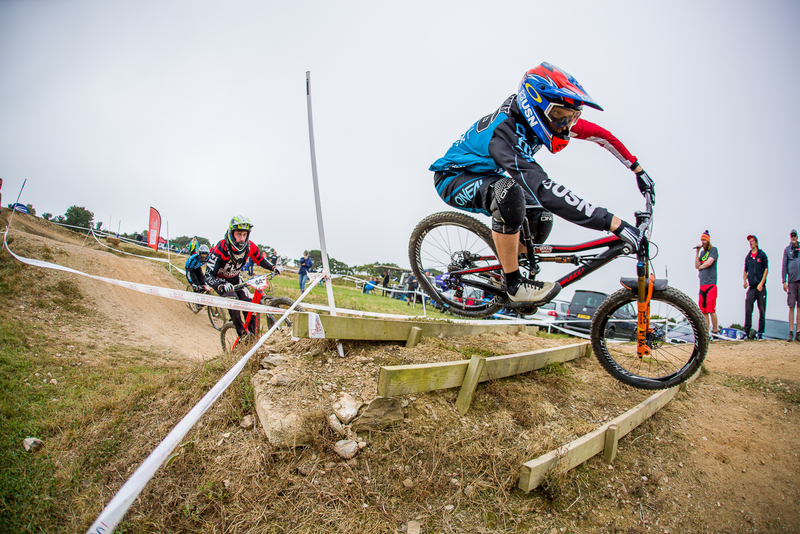 The 2018 British Cycling 4X National Championships took place at Falmouth in Cornwall last weekend. 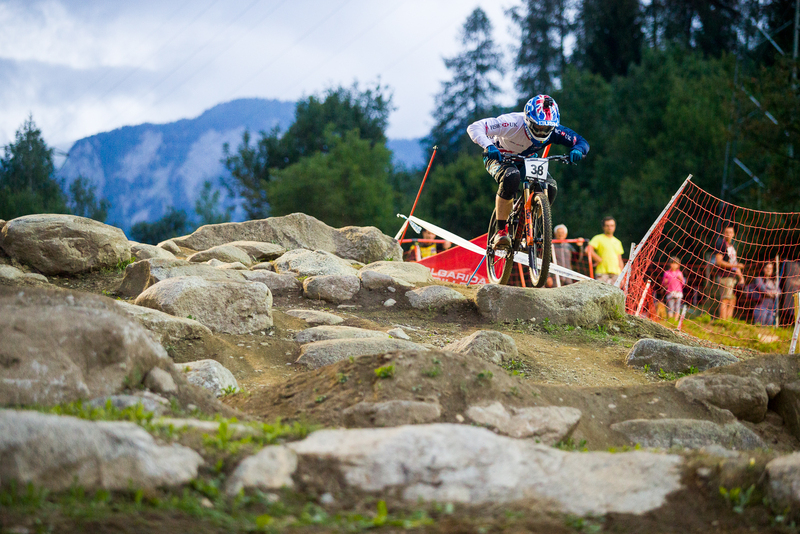 A track that has always been one of Scott’s favourites, it was the venue where he won this title back in 2014. Scott was obviously looking for the same fortune this year. We arrived on Friday and set the teams Dethleffs truck and Surf & Turf tent up ready for the weekend. Scott rode in a short practice session and immediately looked fast and comfortable on the track. The team were in good spirits and after a good meal on Friday night we were set to defend the title. Saturday morning and the sun was shining. The forecast was great and we were in for an amazing day of racing. There was a 2 hour practice session during the morning where Scott was able to fine tune both his qualifying lines and his race options ahead of the event starting at 13.00. Qualifying started at 13.00 and clearly Scott was in the mood. Focused and ready to lay down a fast lap. As defending Champion Scott was the final rider to qualify. The gate dropped and Scott made his trademark fast start. Railing all the turns he looked quick all the way. Crossing the finish line he took the fastest time by half a second. Scott was very happy to take the fastest time as this gave him the vital gate choice for every race during the day. By the quarter final stage Scott was looking good but the races were all extremely tough from here to the final. Making a great start, Scott again led his quarter final from start to finish and was able to beat one of his main rivals in the process. On Championship day riders are always looking for every bit of confidence and as the wins continued, Scott was in a great place. In the semi final Scott again chose gate 1. This semi final could easily have been the final. With another perfect gate Scott lead the race from the front and pulled a decent lead to book his place in the final. So this was it. Scott was in the final again and looking to win his 9th National Championship and 7th in a row. Again choosing the inside gate Scott got set. The traffic lights came on and Scott blasted out of the gate taking the lead. He rode aggressive and smart through the first three turns, hugging the inside lines and not letting anyone get close to making a dive pass. From there he pulled away and by the finish he was able to take a comfortable win. Punching the air in delight, Scott was absolutely on cloud nine. In a sport where there are so many factors at play in every round of every race, Scott continues to re write the record books and build on his titles year after year. “That was a tough day, mentally and physically” said Scott in the finish area. “The track was tight and I knew that I was under pressure in every race. Everyone is hungry for this title and I am stoked to be able to win it for my 9th time and 7th in a row. Thank you to everyone for the support”. Scott will now wear the Union Jack flag on his left sleeve for the next 12 months to represent the National Champion status. With this win also came enough points to secure the British Cycling National Rankings title – the points system that takes into account all 4X races in the World for UK riders. 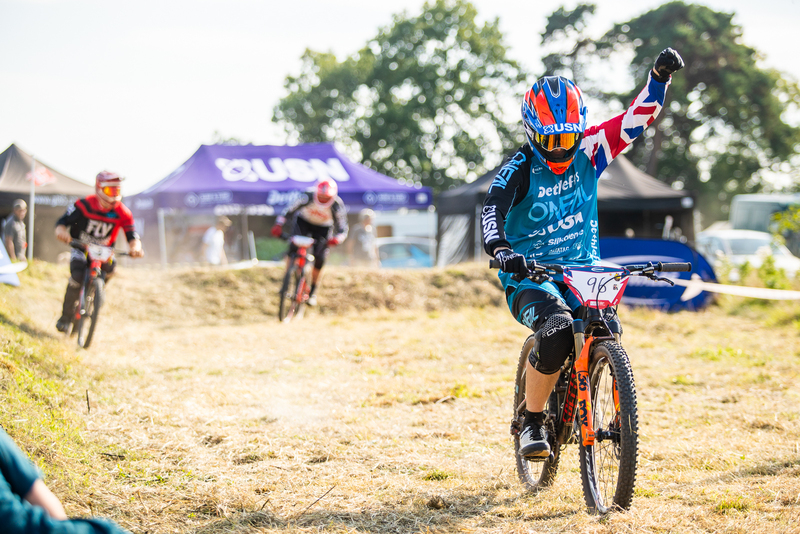 There was no time to celebrate though as the next day would see Scott racing in round 5 of the Schwalbe British 4X Series. 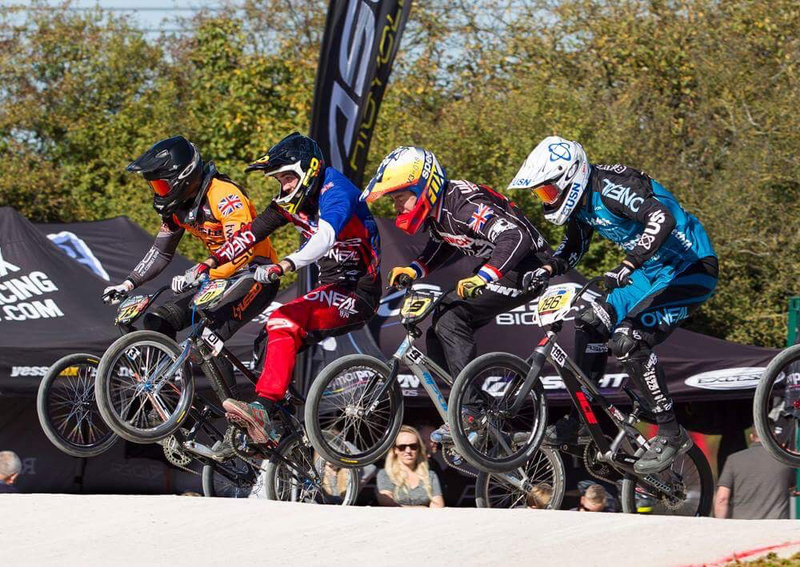 Last weekend USN Racing went back to their roots and dusted off the BMX bike. In preparation for the 2018 4X Mountain Bike National Championships which take place in Falmouth in just over a week’s time, part of Scott’s training for the last month has been on the smaller bike as we keep his legs spinning fast in the build up to the championships. 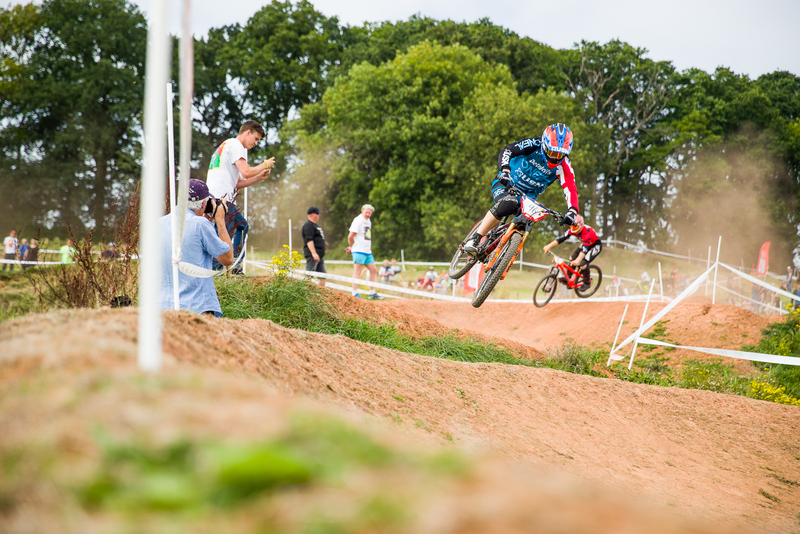 So, we decided to go and race rounds 7 and 8 of the 2018 HSBC BMX National Series at Telford. 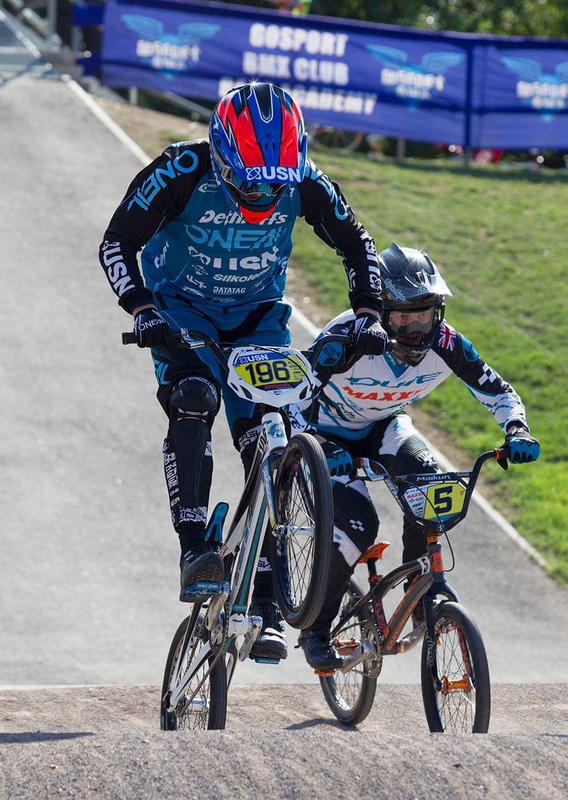 After 2 years off the BMX bike and only a day available to ride the smaller bike on a track in preparation for the race, to say Scott was rusty would be an understatement. He initially looked like he had never ridden a bicycle let alone a BMX! It was just a training weekend and he had to keep that in mind, but the racer in Scott obviously wanted to do well. Practice went well and every lap he gained more confidence. In BMX you have 3 qualifying races. Amazingly Scott won all 3 on my way to the final. In the final he chose lane 1 on the inside. The gate dropped, and Scott took the lead. On the second straight he made a small mistake and 2 riders were right on his back wheel. In turn 2 he was passed and ran wide from the pass unfortunately slipping back to fourth. Scott was able to hold that position all the way to the finish. It was a mix of emotions. So near but yet so far. Sunday rolled around and Scott had a second chance. Similar to Saturday’s race Scott won all 3 qualifying races. For the final he again chose lane 1. The gate dropped, and Scott found himself leading again. He rode a perfect second straight learning from the mistake on Saturday and held the lead through turn 2. In was on the third straight that he came unstuck! A small mistake lost a lot of momentum and in the third turn Scott was passed again in a similar way to Saturday. Unfortunately, he slipped back to fourth again. 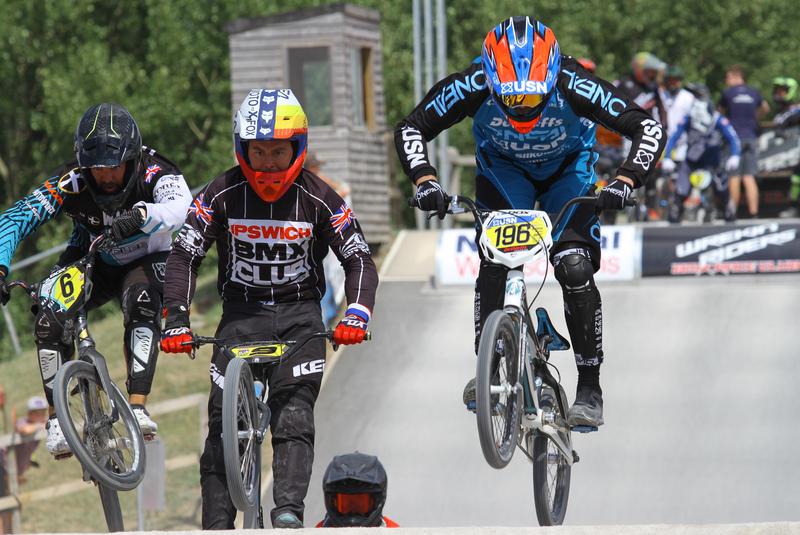 It was a fun weekend and the team looking forward to the next rounds of BMX National Series at the end of August in Gosport near Portsmouth. But for now, it is back to the mountain bikes as we look to defend the 4X National Championships in Falmouth on August 18th. Full report from that race in the week afterwards. 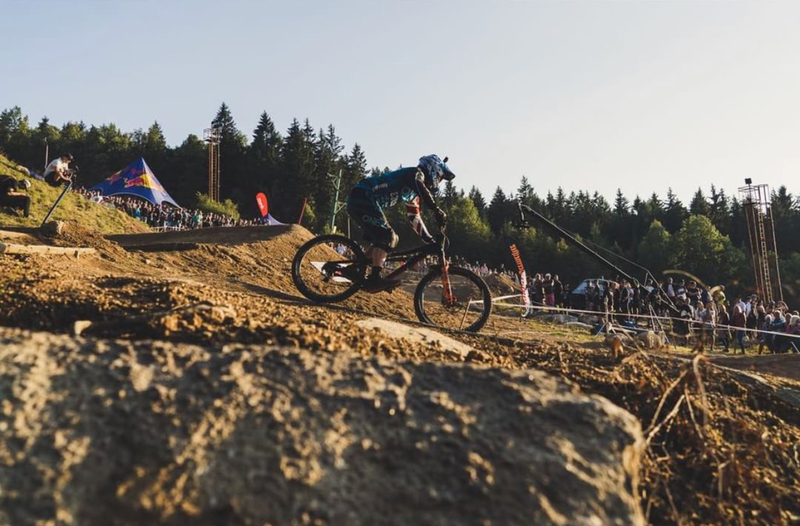 The fourth round of the 2018 4X ProTour took place in Jablonec, Czech Republic at the weekend. After a strong season, Scott Beaumont was looking to maintain a top 5 overall position at this penultimate round. Historically this track hasn’t been the best for Scott with inconsistent results over the years. 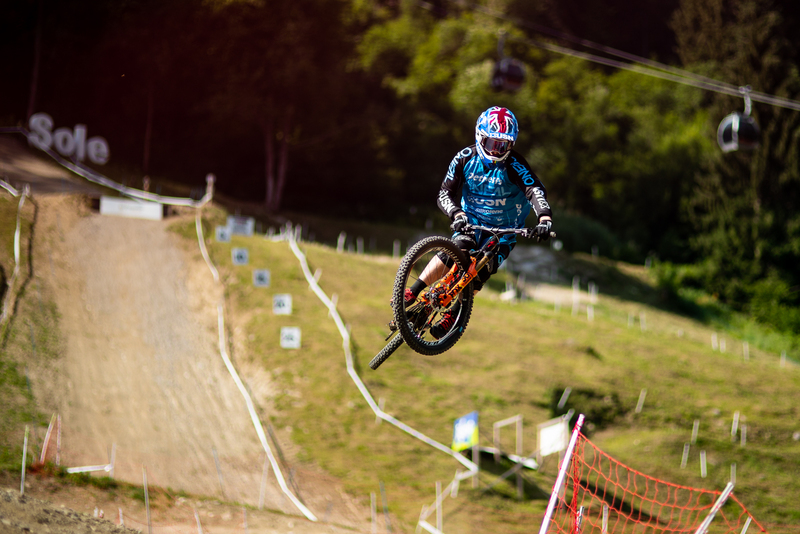 He was looking to maintain his good form to finally get the result he wants at JBC Bikepark. 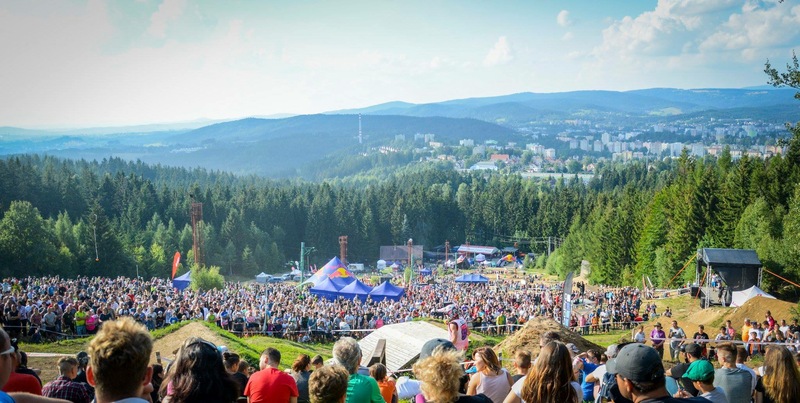 The track is in his rivals, Tomas Slavik’s hometown of Jablonec in northern Czech Republic. It is the toughest track on the circuit with the biggest jumps, forest section, rocks, wall rides and rhythm sections. It has it all and it is also the longest track so it is extremely physical. Practice was unfortunately cancelled on Thursday due to torrential rain and storms that swept through the city. In the evening Scott was one of the top 10 seeded riders who was introduced to the town and the mayor in the opening ceremony. It was great to see the riders being given the star treatment! On Friday the weather had improved and an extended practice session got underway. Scott was looking comfortable on the track. The weather was dry for qualifying making the track super-fast and dusty. The sun was shining and the track was absolutely perfect. Scott was seeded 4th, so he qualified at the end of the session. He rode a good lap, but made a big mistake in the woods losing vital seconds. The rest of his run was not perfect but it was ok and crossed the line in 14th position. “I made a great start and rode all the lines well. I nearly crashed in the woods and so I’m happy to qualify” said Scott in the finish area. Race day and thankfully the rain which was forecast did not materialize. There was a short practice session for the riders before the racing started and Scott worked on his track speed. Before racing started, the top riders were introduced to the huge crowds with a backdrop of dancers and flames flying in the air. It was an awesome start to the event. Then an acrobatic plane flew overhead and the crowds were going wild! Onto the racing. In Scott’s first race, he took gate 1. With a great start he took the lead and rode his best lap of the weekend. Winning the race from start to finish, Scott was looking in the mood for a great night. In the quarter finals though disaster struck. Scott had the 4th pick on the gate and was left with gate 4. Making a great start, he opted to stay wide into turn 1. In the move of the night, he made a slingshot move from high in the entry of the corner to low on the exit passing 2 riders. He set off on the second straight in 2nd position! Heading into the woods he was looking good but one of the riders he passed in turn one repaid Scott’s move with a very aggressive pass on the inside. Scott had to change lines to miss a tree and was dropped back to 4th. He charged down the track and was able to make a clean pass for 3rd but he couldn’t get back to 2nd. That was unfortunately the end of his race and an overall position of 10th. “I would have done exactly the same thing. I was very happy with the pass in turn one but he retaliated in the woods. That’s racing and it was fun out there. Over 10,000 spectators just saw 4X in it’s finest light’. Now the team are heading home to prepare for the 4X National Championships in 4 weeks time where Scott will look to defend his Championship. 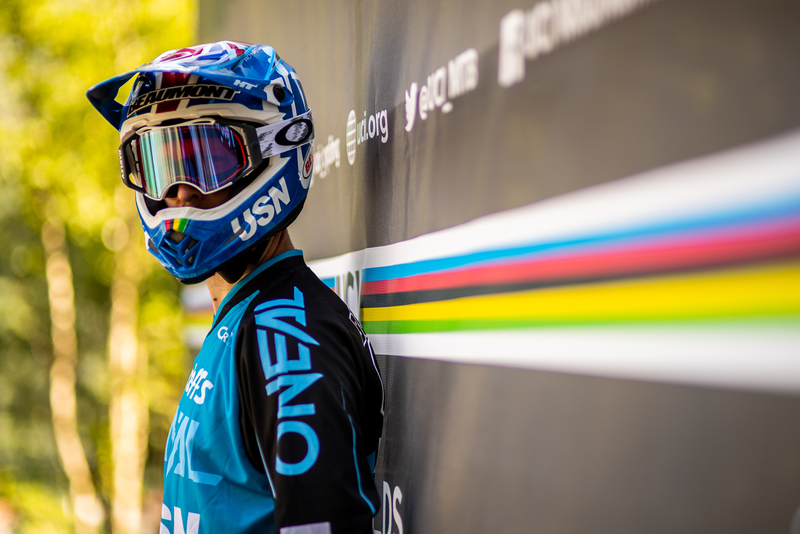 On Friday 6th July, USN Racing team rider Scott Beaumont lined up on the gate in Val Di Sole, Italy for the 2018 4X World Championships. It is the 25th time that Scott has represented his country in the World Championships. 7 times in BMX and 18 times in Mountain Bike. It’s an incredible record and one that Scott is not ready to call time on yet. Riding as well as he ever has, Scott was here to win. The week started with a drive over to Italy in the new Dethleffs team truck. Arriving on Monday, the team set up the team area and then went to check out the track. With a few great changes, it looked amazing and Scott was excited to have a ride. Having a steady play, immediately Scott looked comfortable, having fun and jumping everything! Clearly he was in the mood for a good week……. Thursday rolled around and it was qualifying day. 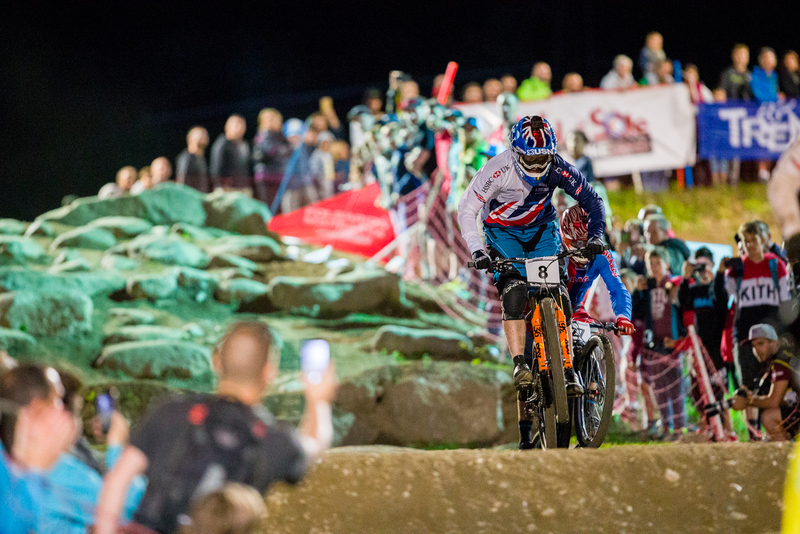 Currently ranked number 7 in UCI World Rankings, Scott was 7th to start his single lap of the track. 4X is a brutal sport. Just a single lap determines the top 32 riders to qualify. If you crash, make a mistake or have a technical problem, your race is over before it has even started. It is a pressure cooker for the riders. Scott was focused and as he left the start looked on point. However he made a couple of mistakes on his lap and crossing the line in a time of 46.592 he ended up in 8th position. So after qualifying 8th, it was time to look forward to racing on Friday night. With thousands of fans rolling into the venue to watch the World Championships, the sun set, floodlights came on and everything was ready. After an hour of practice Scott had his lines dialled. Passing places, options and a good few gates had him ready to go. 21.15 rolled around. It was race time.In his first race, Scott slightly missed the gate and moved into second through the first turn. He looked fast all the way and clearly was looking at options for next round of racing. It was the lap that would set him up for the night. In the quarter finals, the draw looked tough as Scott lined up against the two Slavik’s. Hannes from Austria and fastest qualifier Tomas from Czech Republic. Scott made an amazing start and bumped bars with Hannes on the first straight. 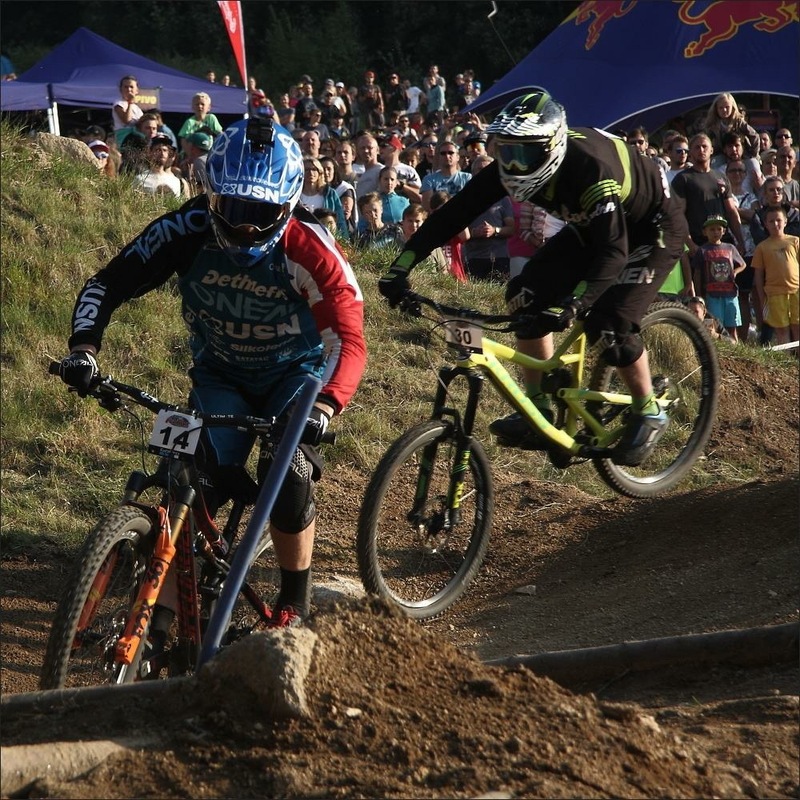 It was super aggressive from both riders as they fought for that semi final spot. Scott got bumped wide and found himself in third. He stayed on Hannes rear wheel all the way and after learning a fresh line through the rocks in race one, he attacked just at the same time as Hannes made a mistake. It was timed to perfection and Scott was able to grab second position and qualify through. In the semi final, Scott again had gate 3. Without doubt, making one of the best starts of his career, he jumped out in the lead. Over the first drops he tangled with defending World Champion Felix Beckman on the first drop which nearly made them both crash. Scott just held on and moved into second. In turn three, Beckman came back and made a big pass on Scott. There was a little contact and it threw Scott’s gears out of sync. It was a big pass but it was a legitimate pass that Scott tipped his hat to. On the exit of the turn Scott went to pedal and there was nothing there. It simply turned out that his gears had moved from 5th back up to 2nd, so it felt to Scott like his chain had come off. He lost a lot of ground and his race was over. No matter how many races you have done, being beaten in the semi final, finishing third in that race and not qualifying to the World Championship final will always be one of the biggest emotional roller coasters in the World. Then having to regroup and head back to race again 5 minutes later to decide fifth to eighth, it’s a big ask for any rider! Scott was in the gate and ready to race. Making another good gate he entered the first turn in second. Making another aggressive move he dived inside to take the lead but came up short. In the blink of an eye he was third and then fourth. Re focusing, Scott clearly focused on carrying speed to catch the riders ahead of him. 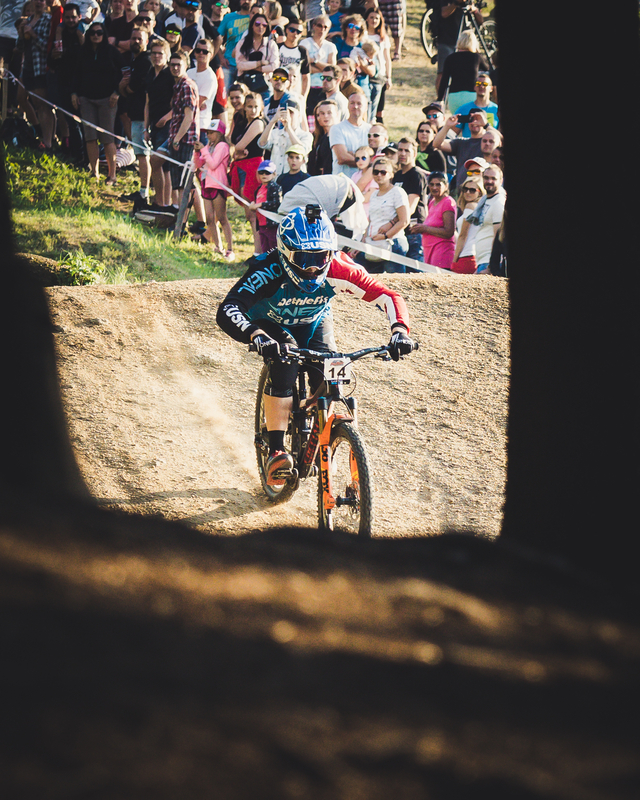 Into the final turn he was back in touch and made a clean pass before the rocks to take third place in the race and seventh for the 2018 4X World Championships. As ever, in the finish area, Scott was completely honest about his performance. Finally we want to thank all out team partners and sponsors. Without you this incredible performance would not have been possible. 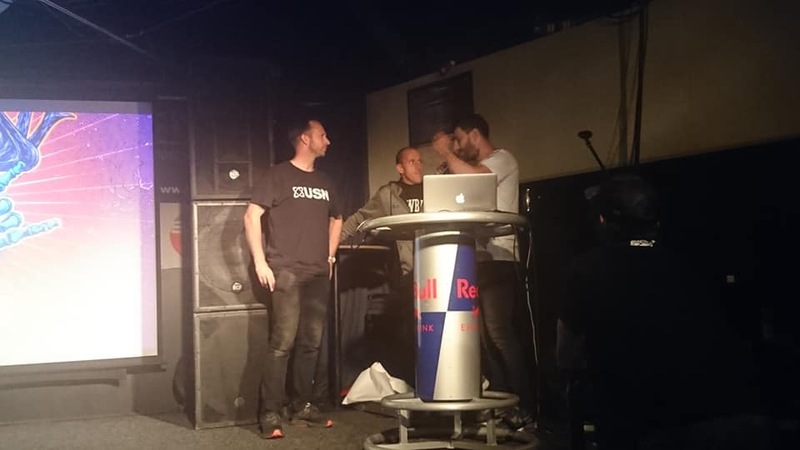 We have the best sponsors and an incredible presence at the events. We are forever thankful for the opportunities you give us and want to sincerely thank you all. We are now driving across Europe to our next race in Czech Republic – round 4 of the 2018 4X ProTour. Scott currently sits in third overall so he will be looking for a strong result with just two rounds remaining.